After converting our end dinette into a fixed bed to try to make the caravan bed more comfortable the only thing left to get was a mattress. Custom Sized Beds came recommended so we decided to check them out. Custom made mattresses made to fit all shapes and sizes of spaces. Choosing to go with the Premium memory foam mattress, ordering couldn’t have been easier. They state that if you can draw it and measure it, they can make it! 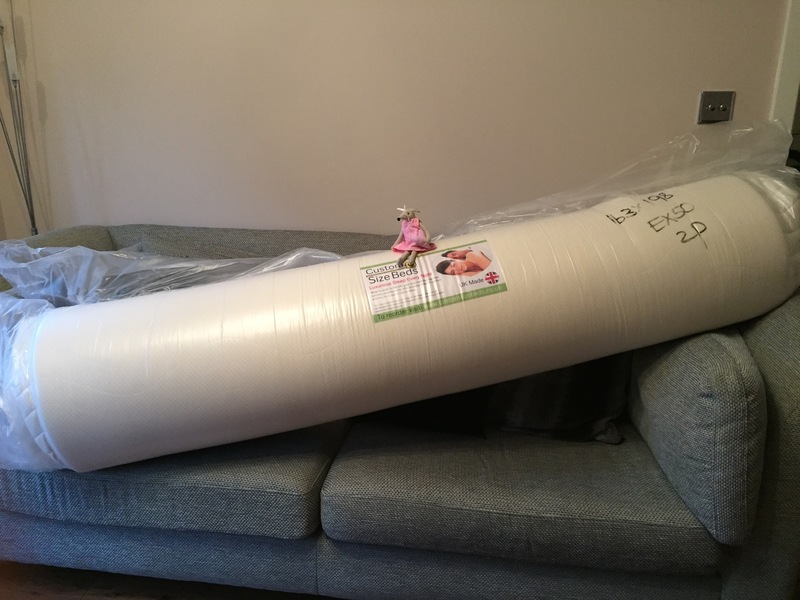 The mattress arrives vacuum packed which made it easy to put it in the car and take to the caravan. Cushions removed from the caravan and the new mattress was released from it’s packaging. Complete with removable zipped outer cover it sprang to life, slowly growing and expanding. Within a short space of time it had comfortably filled the space. It seemed to take around 6 hours to fully expand so make sure you give it plenty of time to settle before you need to sleep on it. Also note, there is a distinctive manufacturing process odour when you open up the mattress, this WILL take up to a week to clear in the confines of a caravan or motorhome so make sure you factor this in. We really weren’t sure about the mattress the first time we did sleep on it. It didn’t feel like instant comfort and we doubted our decision. 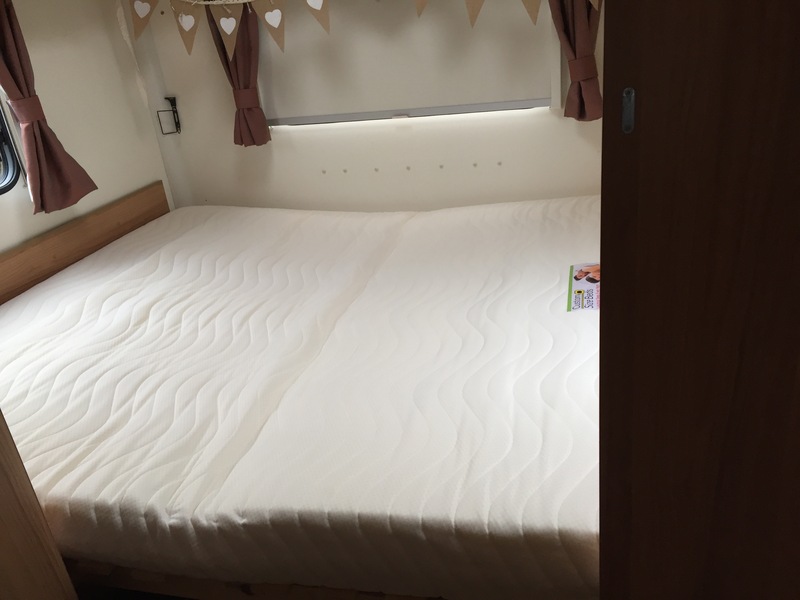 We have conditioned ourselves to think only a firm mattress is the best option, however, it seems that the firm caravan cushions were causing our sore shoulders and morning joint pain. This mattress does envelop you and feels much softer, but most importantly, after over twenty nights sleep on this mattress we have noticed we are waking without the aches and pains noted before and are now sleeping very soundly as well as we do at home. We have found there is zero ‘roll-together’ but we do have a wide mattress, you seem to compress your own body shape sleeping area and it rebounds and recovers its shape when you get out. At first, this compression had us wondering if we could give a positive review and is the reason we have waited twenty sleeps before doing so, twenty comfortable sleeps and mornings free of caravan bed joint pains. Custom Size Beds also sell pillows which also come vacuum packed. UPDATE. 18 months later and the memory foam mattress has given up the ghost and is now failing to support us whilst we sleep. Rather than recovering, it retained our body shape and has ‘roll together.’ Memory foam may not be all it’s cracked up to be for the slightly larger than average, if there is such a thing. 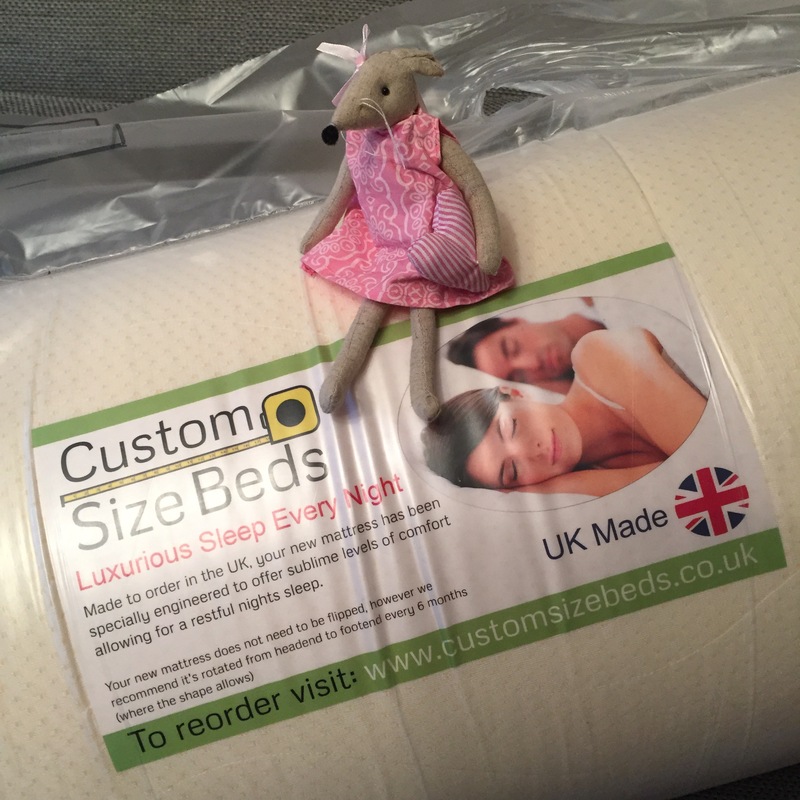 We have now invested in ‘normal’ mattresses, two singles, to fill the custom sized bed that we created. Slightly more expensive, but the same weight as the memory foam mattress and so far a damn sight comfier. Two things worth investing in… good shoes and a good mattress.